There’s no better place for an elevated getaway. As well as being a shopper’s paradise and a street-food lover’s dream, one of Hong Kong’s greatest selling points is its incredible waterfront views. 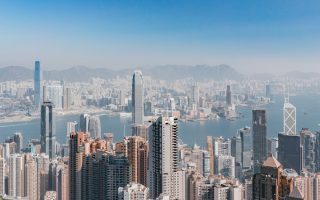 Victoria Harbour has to be one of the most spectacular vistas in the world and, thankfully, Hong Kong is not short of amazing rooftops from which to take it all in. 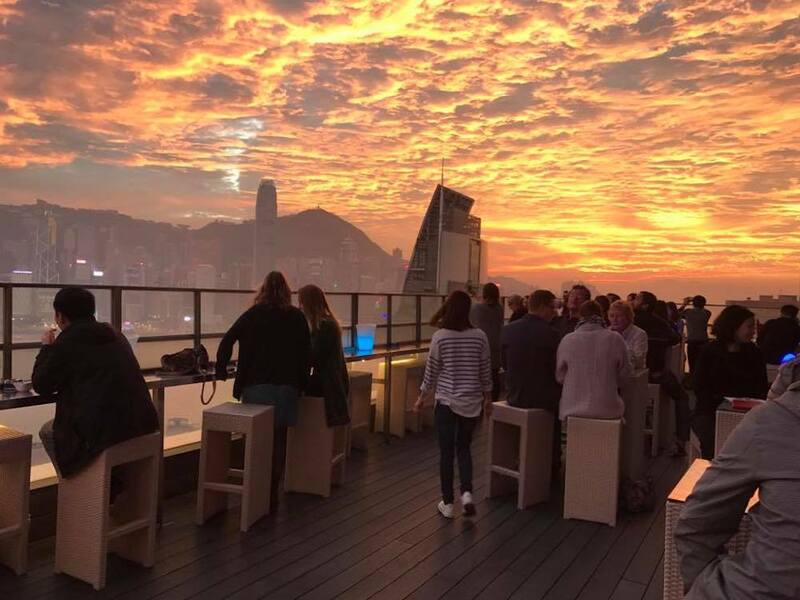 After a day of intensive retail therapy and gastro-grazing the world’s best dumplings, hit up one of HK’s rooftop bars for a cooling aperitif. A seminal Hong Kong experience, Sevva delivers a unique food and drinks menu that draws on a blend of Hong Kong’s traditional and colonial influences. Home to what’s arguably the best high tea in town, it’s definitely one of the highest. 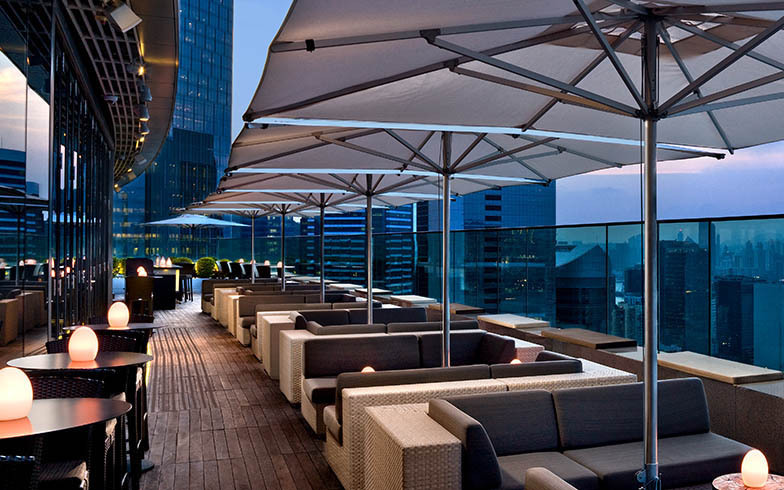 At 25 floors up, the stunning panoramic views of the city from the Sevva Bar terrace may induce more of a cocktail mood. It’s without a doubt one of the most elegant spots in town, with some of the best seats for taking in the city’s famous Symphony of Lights laser show. Any decent watering hole offers an evening happy hour, but Eyebar offers “sunset hour” between 6pm and 9pm, when you’ll get your martinis at a very sunny 30 percent off. It’s the cherry on top of the venue’s already generous panoramic city views. 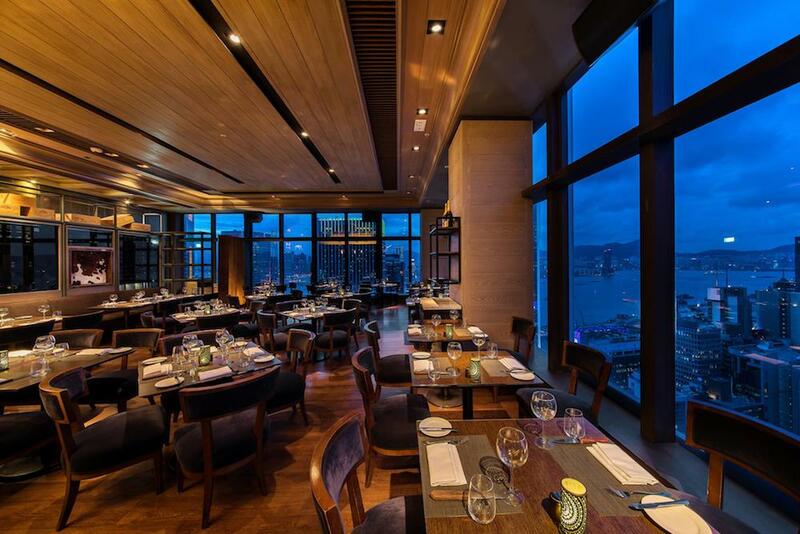 Located in modern iSquare in bustling Tsim Sha Tsui, Eyebar’s floor-to-ceiling windows, contemporary vibe, and stools by the glass barrier on the 30th floor terrace make it one of the most sought-after ogling spots in the city. If martinis aren’t your deal, try its signature beverage, the Suzie Wrong, otherwise wrap your lips around the equal parts punny and thirst-quenching Grape Expectations: a gin, grapefruit, lime, vanilla and yoghurt liqueur house favourite. Thirty floors up, in Hong Kong’s Peking One skyscraper, the David Collins-designed Aqua Spirit is one of the city’s most stylish and innovative hotspots. 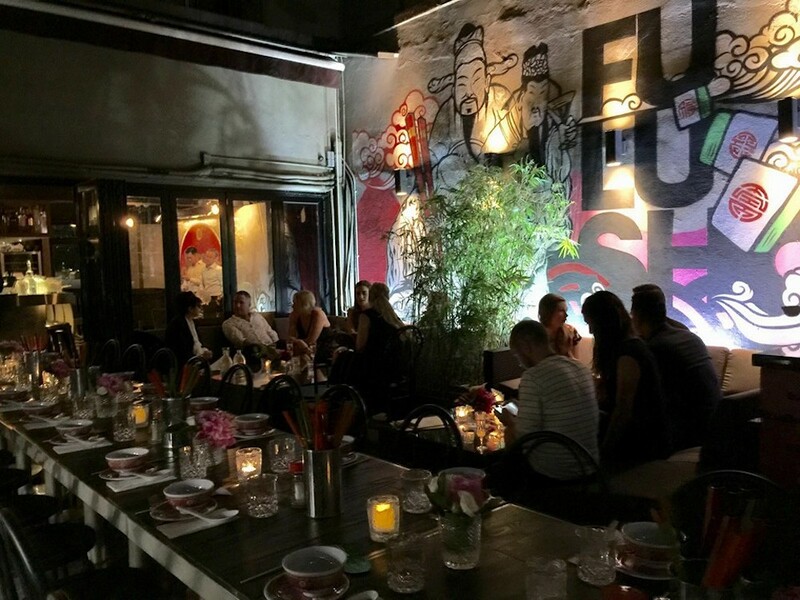 With its pricey fusion menu, clubby DJ soundtrack, and smattering of wealthy bankers and expats, it’s an acquired flair here. 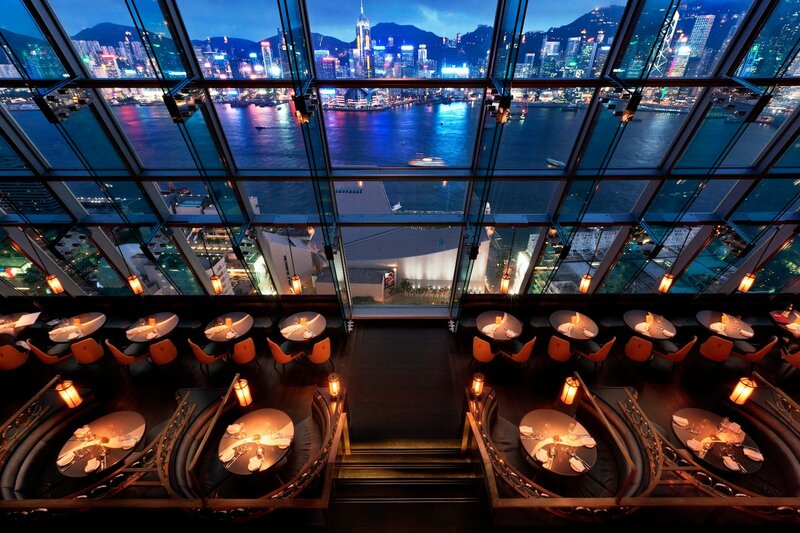 But there’s no beating Aqua Spirit’s top-of-the-world night-time views. The signature cocktail might be called Anxiety (a fruity fusion of vodka, pomelo and pink grapefruit) but, this high up, you’ll be feeling anything but. In Hong Kong, CÉ LA VI is “the life”. The sky deck in this outpost of the CÉ LA VI group of venues earns its capital letters, with one of the most dazzling 360-degree panoramas in the region. Set in the commanding California Tower, CÉ LA VI’s stratospheric terrace even boasts a Jacuzzi. Coupled with world-class, award-winning dining, this is probably the city’s number one place to see and be seen. For something decidedly less swanky (and decidedly more hip), a night at the casual Fu Lu Shou Bar is as enjoyable to visit as it is to say its name out loud. Don’t be put off by the grungy front door and the rickety lift within – Fu Lu Shou offers a top-notch food and beverage experience, slinging some of the city’s most delicious cocktails and Western-inspired Asian culinary favourites. And while the views might not be as epic or glittery as some of the city’s finer options, its urban cool and unassuming vibe elicits a refreshing alternative. Enjoy an ice-cool Thyphoon Number 8 with a fresh-cut cigar, and kick back in casual style. Classy, elegant, and in its own words, “slinky”, at 32 floors up, EAST Hotel’s Sugar deck and lounge is a boon for the elevation-inclined. 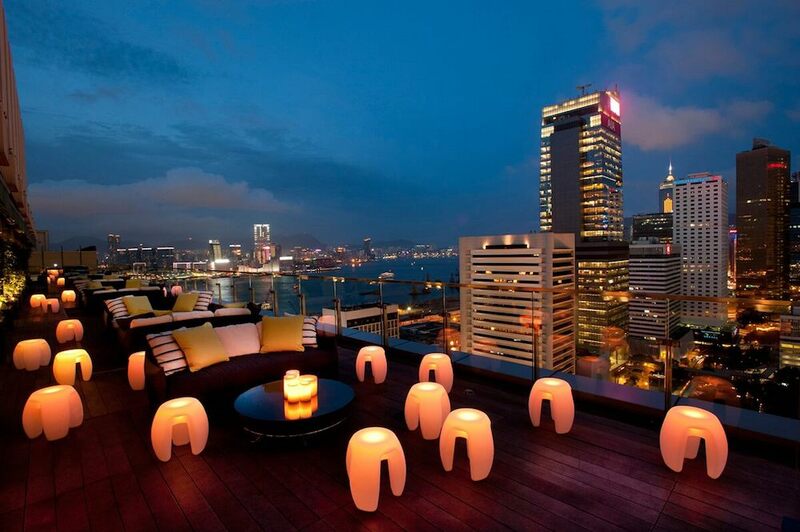 Though positioned a little away from the bustling city centre, Sugar delivers with an incredible sunset vista over Quarry Bay and the eastern cityscape, not to mention world-class resident DJs and a cocktail list to die for. More dining den than bar, Wooloomooloo is actually a chain, with multiple branches in and around town. 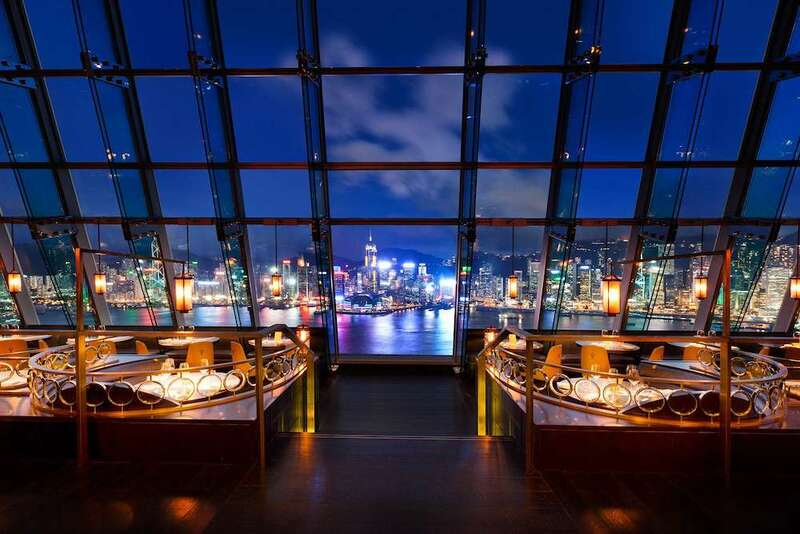 The Steakhouse in Wan Chai is regarded as one of the best, and it’s not just the flame-grilled meat that has locals and visitors drooling: the rooftop views from the Wooloomooloo bar are a real deal-sealer (though the Australian-inspired meat and fish driven menu is nothing to baulk at, either). At a lofty 188 floors up in the ICC Tower’s Ritz Carlton Hotel (1608ft above sea level), Ozone is, without question, one of the highest bars in the world and one of the most stunning. Enclosed in panoramic glass windows, we’re stretching the friendship by calling this one a “rooftop”, but we feel its vertiginous vantage demands a mention.